Fabulous Floors has been seen as the best hardwood floor refinishing Washington MI can offer by many people. We’ve been restoring wood flooring in Washington, MI for years, and have the experience and expertise to bring back the beauty of your floor as well! If you’re looking for hardwood floor refinishing in Washington, MI, you’ve come to the right place. Fabulous Floors Oakland-Macomb is considered to be a leader in the hardwood refinishing industry and would love to have you experience the difference we can make on your hardwood floors. We are continually training our technicians is the art of hardwood refinishing and customer service. We promise that our customers will get the best service possible and result they’ll love. Contact us today to learn how we can refinish your hardwood floors in Washington, MI, or to get a free price quote on our services. 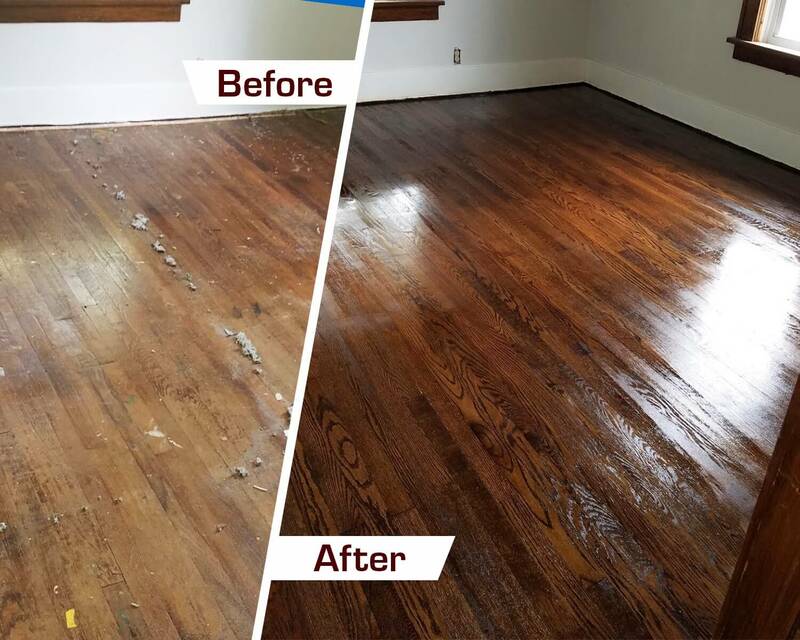 From start to finish, the time it takes to refinish your wood floors is only 1-2 days. Our company is also GREENGUARD Certified, which means our hardwood refinishing process is safe for both you and the environment. We start by using our innovative sanding machine to sand away any scratches, discoloration, or dents that may be present on your hardwood floors. Our sanding equipment is virtually dust free so you won’t have to worry about cleaning up a large mess. Next, we’ll apply a stain color of your choosing to your floors. Whether you’re looking to change up the look of your floors or looking to match your existing color, we have just the right stain for you. See out the selection here. Once the stain is completely dry, we’ll apply our high-quality & long-lasting polyurethane finish to your floors. This will lock in the stain and help protect your wood floors against future damage.